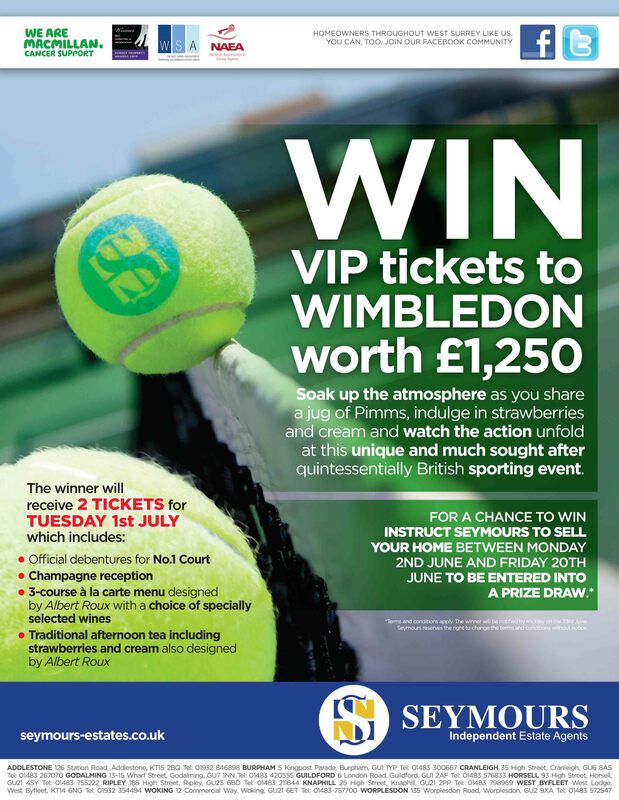 Surrey residents looking to sell their home may have met their match this month following the decision of one estate agent to giveaway two VIP tickets, worth £1,250, to Wimbledon’s Court No.1 on 1 July. Everyone who instructs Seymours Independent Estate Agents to sell their property before 20June will be entered into a draw to win the tickets, which include a champagne reception, a three course à la carte menu and traditional afternoon tea including strawberries and cream all designed by Albert Roux. Whilst there are only two tickets up for grabs the competition will run across all 11 offices. The winner will be randomly drawn and announced on Monday 23 June.